La situación actual del sector del seguro del automóvil exige a las compañías aseguradoras diseñar productos cada vez más ajustados al tipo de cliente al que se dirige. En el presente trabajo analizamos los 80.000 registros ofrecidos por una entidad aseguradora con una importante cuota en el mercado español. Tras identificar una serie de perfiles en los clientes asegurados, se estudia la eficiencia de cada uno de ellos mediante la aplicación de Análisis Envolvente de Datos (DEA) y estadística multivariante. Los resultados obtenidos permiten identificar aquellos clientes que mejor rendimiento ofrecen a la compañía. Mediante la aplicación de test estadísticos paramétricos y no paramétricos, se determinan, además, las similitudes y diferencias existentes entre grupos de clientes que comparten una determinada característica. Insurance companies have to take risk and cost into account when pricing car insurance policies in order to design new products to cover the risk of private use of cars. In this paper we use data from 80,000 car insurance policies in order to assess, once risk and cost have been taken into account, the policies that generate the highest returns for the company. After different profiles of clients are identified, including among the characteristics the regional location of the clients, we use Data Envelopment Analysis and multivariate statistics. The results obtained not only permit us to identify the best groups of clients for the company but also to determine similarities and differences among profiles of clients. BOJ, E., CLARAMUNT, M.M. Y FORTIANA, J. (2004): Análisis multivariante aplicado a la selección de factores de riesgo en la tarificación. Cuadernos de la Fundación MAPRE estudios. Instituto de Ciencias del Seguro. Madrid. COOPER, W.W., SEIFORD, L.M. Y TONE K. (2000): Data Envelopment Analysis: a comprehensive text with models, applications, references. Kluwer Academics Publisher, Boston. CUMMINS, J.D. Y RUBIO-MISAS, M. (1998): “M. Efficiency in the Spanish insurance industry”. Working paper, The Warton School, University of Pennsylvania. DIONNE, G. Y VANASSE, C. (1992): “Automobile insurance ratemaking in the presence of asymmetrical information”. Journal of Applied Econometrics, 7 (2); pp.149–166. DOHERTY, N.A. Y SCHLESINGER, H. (1983): “Optimal insurance in incomplete markets”. Journal of Political Economy, 91 (6); pp.1045–1054. DOHERTY, N.A. Y SCHLESINGER, H. (1990): “Rational insurance purchasing: consideration of contract non-performance”. 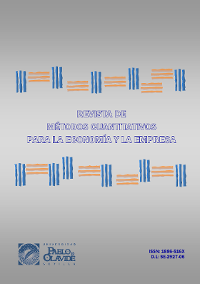 Quartely Journal of Economics, 105; pp.143–153. DUNTEMAN, G.H. (1989): “Principal components analysis”. Series: Quantitative Applications in the Social Sciences, nº 69. Series Editor: Michael S. Lewis-Beck, University of Towa. FECHER, F., KESSLER D., PERELMAN S. Y PESTIEAU P. (1993): “Productive performance of the French insurance industry”. Journal of Productivity Analysis, 4; pp.77–93. FUKUYAMA, H. (1997): “Investigating productive efficiency and productivity changes of Japanese life insurance companies”. Pacific-Basin Finance Journal, 5; pp.481–509. GUILLÉN, M., AYUSO, M., BERMÚDEZ, L. Y MORILLO, I. (2005): El Seguro de automóviles: estado actual y perspectiva de la técnica actuarial. Fundación MAPFRE estudios. Instituto de Ciencias del Seguro. Madrid. HENRIET, D. Y ROCHET, J.C. (1986): “La logique des systèmes Bonus-Malus en assurance automobile: une approche thèorique”. Annales d'Èconomie et de Statistique, 1; pp.133–152. JOLIFFE, I.T. (1972): “Discarding variables in Principal Components Analysis”. Applied Statistics, 21; pp.160–173. KAO, C. Y HWANG, S.N. (2008). “Efficiency decomposition in two-stage data envelopment analysis: an application to non-life insurance companies in Taiwan”. European Journal of Operational Research, 185(1); pp.418–429. LEMAIRE, J. (1985): Bonus-Malus systems in automobile insurance actuarial models. Kluwer Academic Publishers, Boston. MAYERS, D. Y SMITH, C.W. (1983): “The interdependence of individual portfolio decisions and the demand for insurance”. Journal of Political Economy, 91; pp.304–311. MAHUL, O. (2000): “Optimal insurance design with random initial wealth”. Economics Letters, 69; pp.353–358. PUJOL, M. Y BOLANCÉ, C. (2004): La matriz valor fidelidad en el análisis de los asegurados en el ramo del automóvil. Fundación MAPFRE estudios. Instituto de Ciencias del Seguro. Madrid. SARRICO, C.S., HOGAN, S.M., DYSON, R.G. Y ATHANASSSOPOULOS, A.D. (1997): “Data envelopment analysis and university selection”. Journal of the Operational Research Society, 48; pp.1163–1177. SCHIFFMAN, J.F., REYNOLDS, M.L. Y YOUNG, F.W. (1981): Introduction to Multidimensional Scaling: Theory, Methods and Applications. Academic Press: London. SERRANO-CINCA, C., FUERTES CALLEN, Y. Y MAR-MOLINERO, C. (2005): “Measuring DEA efficiency in Internet companies”. Decision Support Systems, 38; pp.557–573. SERRANO-CINCA, C. Y MAR-MOLINERO, C. (2004): “Selecting DEA specifications and ranking units via PCA”. Journal of the Operational Research Society, 55; pp.521–528. THANASSOULIS, E. (2001): Introduction to the theory and application of data envelopment analysis: A foundation text with integrated software, Kluwer Academic Publishers, Boston. TONE, K. Y SAHOO, B.K. (2005): “Evaluating cost efficiency and returns to scale in the Life Insurance Corporation of India using data envelopment analysis”. Socio-Economic Planning Sciences, 39; pp.261–285.